Just choose 10 different words to make up this wonderful gift idea for any police officer at any stage of their career! This is a great idea for anyone in need of a Police Officer gift! 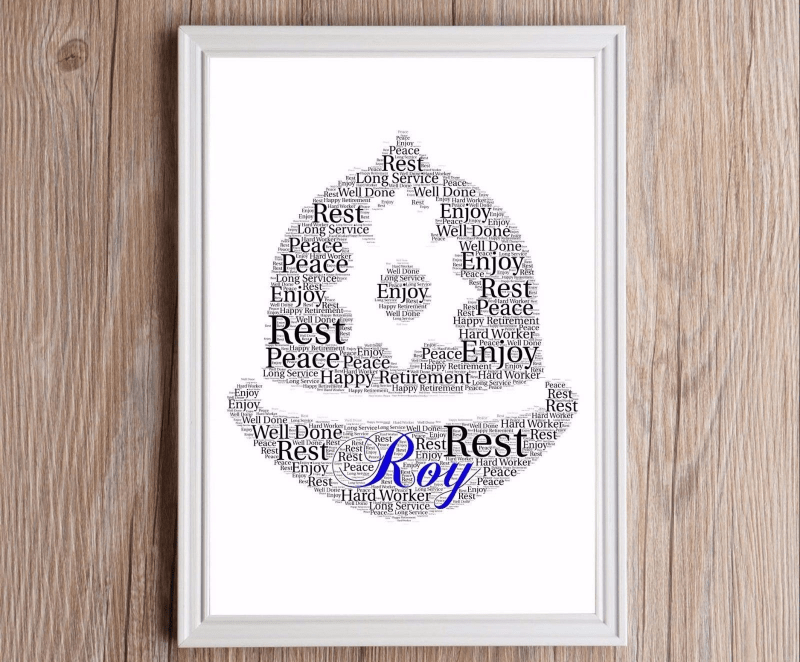 It is a personalised word print that is just perfect for anyone retiring, birthday gift, surprise gift or just for fun! The design is created using high quality Print Inks and High quality gloss paper. Each print will be unique to the individual using a selection of words which you can choose (at least 10 different ones). You also get to choose the colour, but the seller recommends black and add any special message at the bottom. If you’re in need of a frame then you also have the option of either A4 or 5″ X 7″ (4 different colours) Frames which you select from the drop down. Make sure you input the different words through a message or on the paypal screen. Another great gift idea from Police Discount Offers!